Book your stay for 15% off our standard room rate! 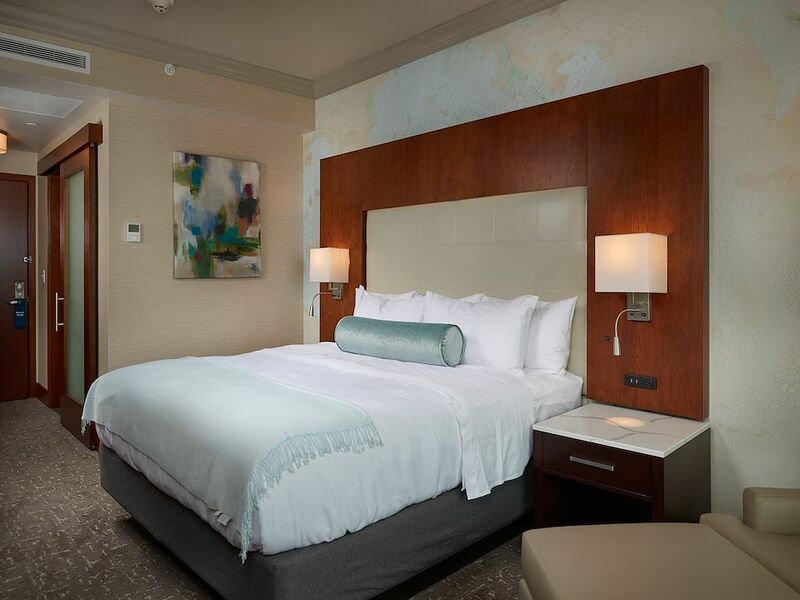 The Merrill boasts 122 guestrooms and features five room types suitable for a variety of travelers. From rooms equipped with cozy queen or king beds to spacious suites, there is a space suitable for everyone's needs. 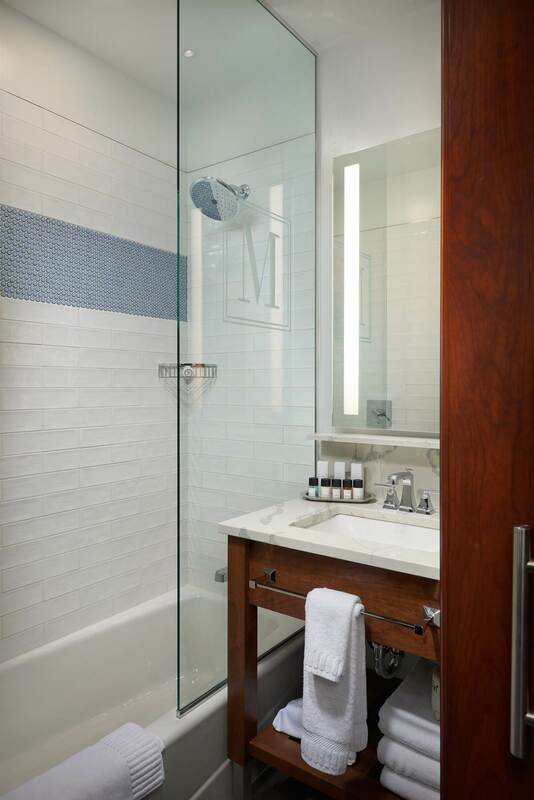 Every room includes free Wi-Fi and convenient features such as a coffeemaker, refrigerator, large work desk, and bath amenities from Gilchrist & Soames making the Merrill your home away from home. Check-in is at 3:00 PM and check-out is at 11:00 AM. New Hotel Makes a Splash in Muscatine - Muscatine has a new place to stay! Having visited Muscatine for over 35 years, we have experienced average hotels with OK amenities. Finally, a hotel that steps up to first class service and quality is here! 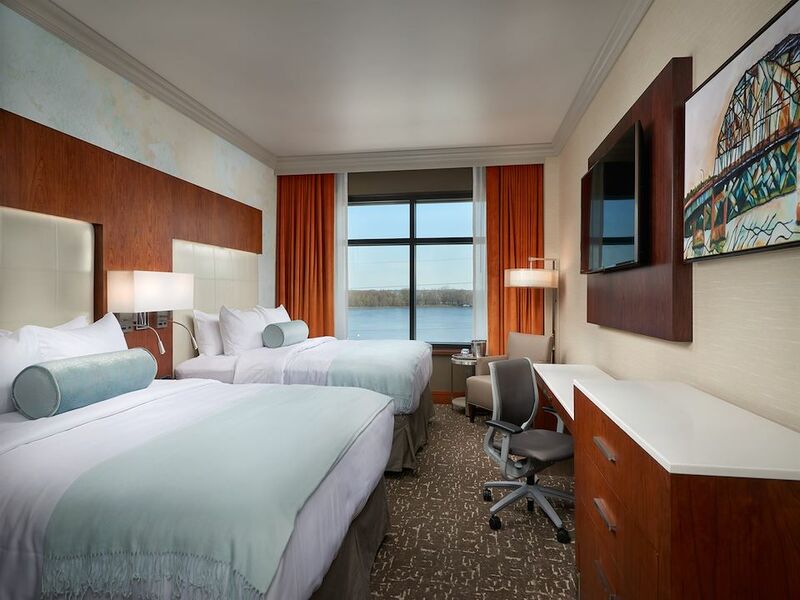 Great rooms, staff and a bar and restaurant overlooking the Mississippi River highlights this wonderful hotel. Will be back! Mike L.
Our Double Queen rooms include two comfortable queen beds, featuring pillow-top bedding and high-thread-count linens. Enjoy comfortable amenities including cozy robe, a refrigerator, and flat-screen HDTV, coffee and tea station, and spacious desk perfect for business travelers. 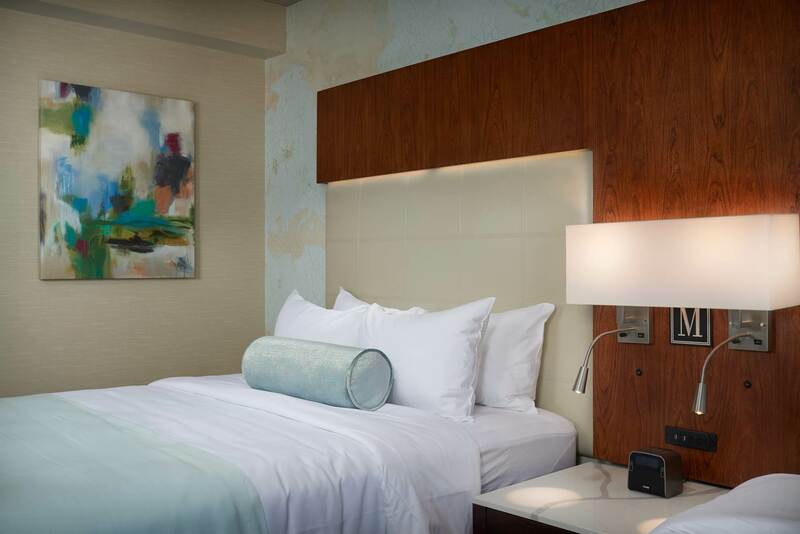 Standard King rooms include a king bed, featuring pillow-top bedding and high-thread-count linens. Enjoy comfortable amenities including cozy robe, a refrigerator, and flat-screen HDTV, coffee and tea station, and spacious desk perfect for business travelers. 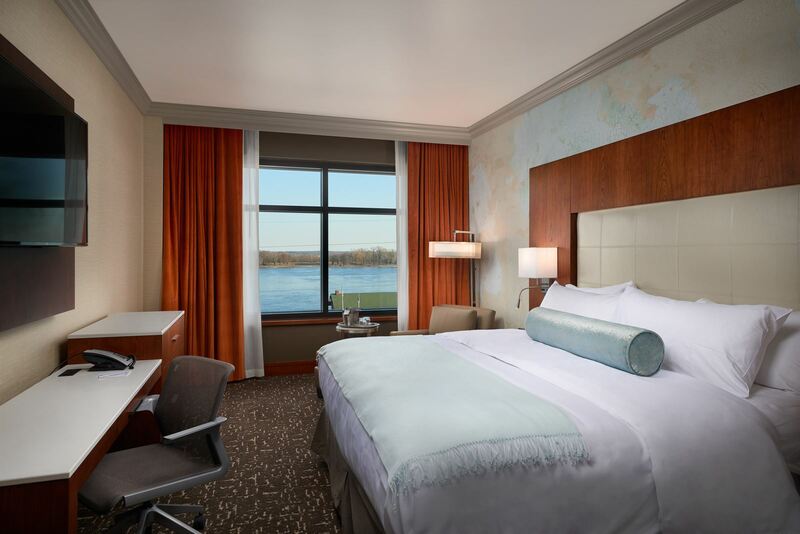 Upgrade to a River View Two Queen Beds room to enjoy a sweeping view of the Mississippi river. This room with two queen beds features pillow-top bedding and high-thread-count linens. Enjoy comfortable amenities including cozy robe, a refrigerator, and flat-screen HDTV, coffee and tea station, and spacious desk perfect for business travelers. Upgrade to a River View King room to enjoy a sweeping view of the Mississippi river. This King room features pillow-top bedding and high-thread-count linens. 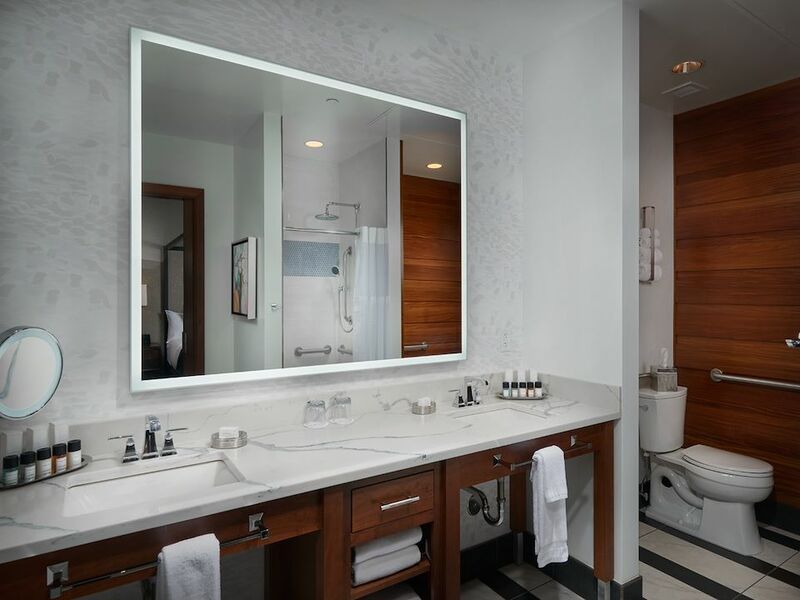 Enjoy comfortable amenities including cozy robe, a refrigerator, and flat-screen HDTV, coffee and tea station, and spacious desk perfect for business travelers. Enjoy ample space by staying in our Junior Suite. Situated on a corner, this room offers extra square footage. It includes a plush king bed, featuring pillow-top bedding and high-thread-count linens. 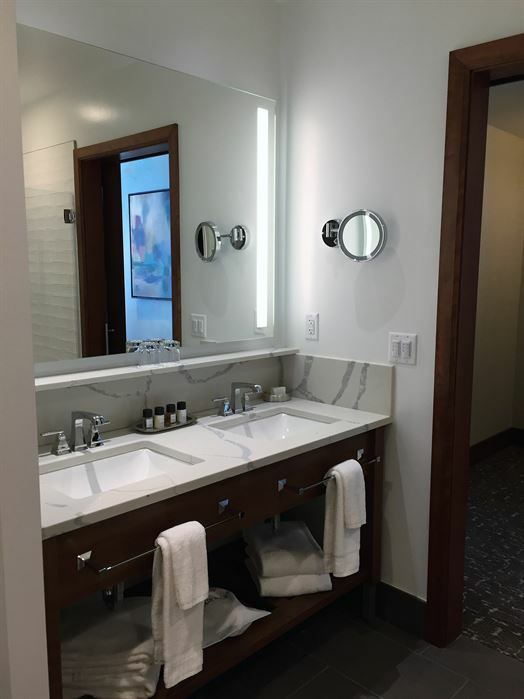 Enjoy comfortable amenities including cozy robe, a refrigerator, and flat-screen HDTV, coffee and tea station, and spacious desk, as well as a sitting area perfect for watching television or sipping on your morning coffee. For the ultimate luxurious experience, relax and unwind in our Presidential Suite. 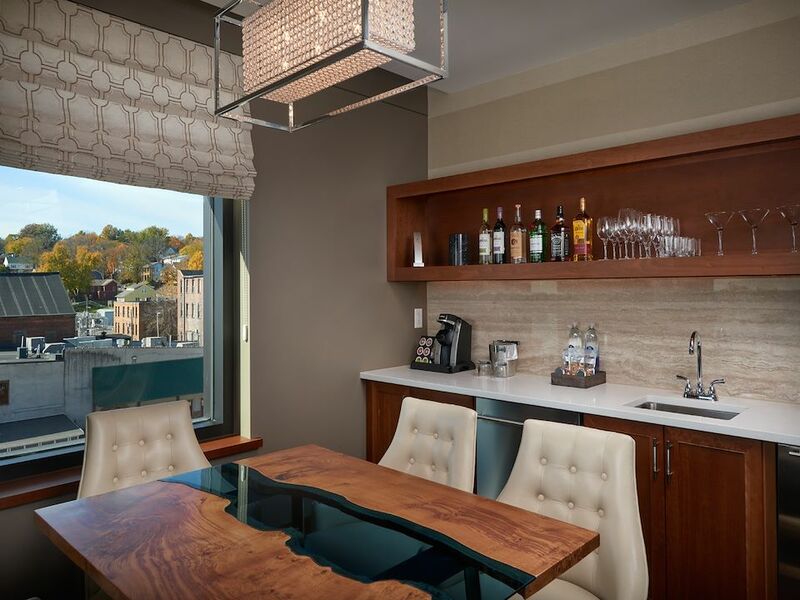 This corner room offers sweeping river views. The multi-room suite begins with a casual living room with desk and fireplace. A grand king bed is the star of the bedroom and features pillow-top bedding and high-thread-count linens. You'll enjoy the spacious, private bathroom as well as a half bath adjoining the living room. The dining area features a beautiful dining table for six, sink, dishwasher, microwave, fridge, and stocked bar. With the option of adding on the two adjoining rooms (one double queen and one king), the Presidential Suite is perfect for a larger group to stay close, but enjoy their own private space. This apartment-style Presidential Suite will make you feel right at home! For the ultimate luxurious experience, relax and unwind in our Chairman's Suite. This corner room offers sweeping river views. The multi-room suite begins with a casual living room with dining table for six and fireplace. A grand king bed is the star of the bedroom and features pillow-top bedding and high-thread-count linens. You'll enjoy the spacious, private bathroom with soaker tub as well as a half bath adjoining the living room. The kitchen area features breakfast bar seating, sink, dishwasher, microwave, fridge, and stocked bar. 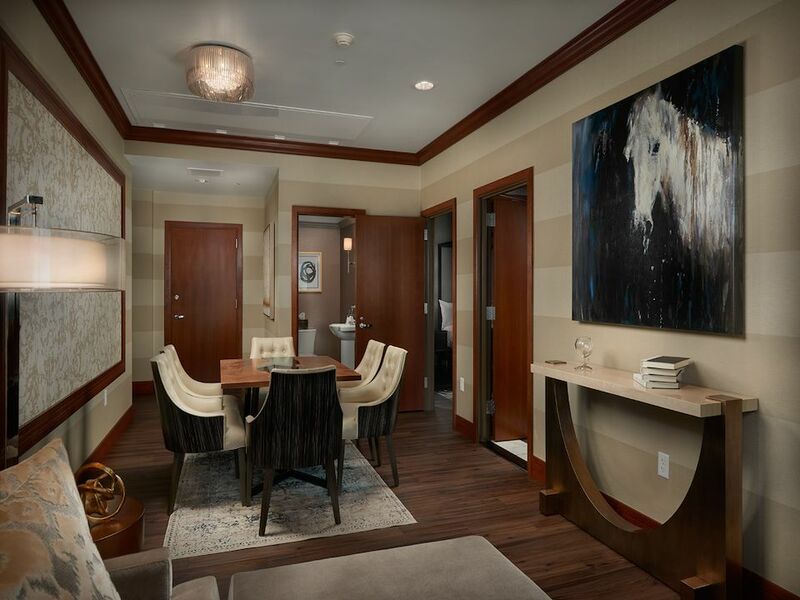 With the option of adding on the two adjoining rooms (one double queen and one king), the Chairman's Suite is perfect for a larger group to stay close, but enjoy their own private space. This apartment-style Chairman's Suite will make you feel right at home! The Merrill Hotel & Conference Center uses all sorts of websites to help you find our hotel for your travels to Muscatine, and we want you to know that we will always guarantee the best rate when you book directly through our website or through our reservation team members. If you feel you have found a better rate on another website, don’t hesitate to call us directly at (563) 263-2600, so we can extend our best rate to you. 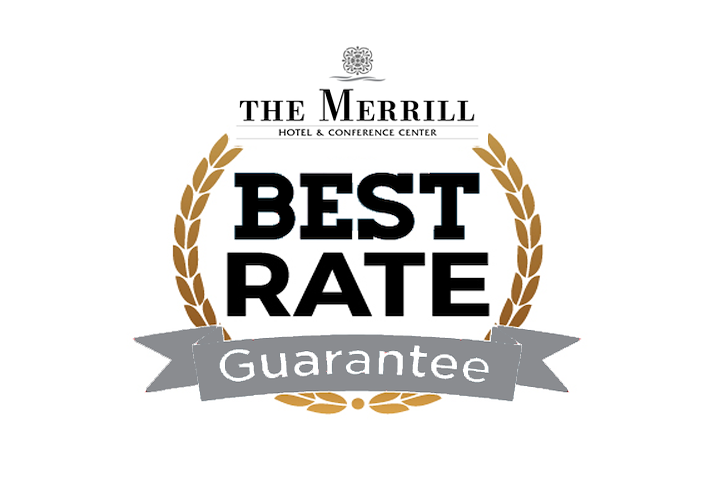 This is our guarantee that working directly with us is always the best way to reserve your stay at The Merrill Hotel & Conference Center. We now offer mobile check-in through the OpenKey app allowing you to check-in remotely and access your room all through the convenience of your phone. Simply download the OpenKey app via Apple Store or Google Play. Create an account and search for The Merrill Hotel & Conference Center. Select your check-in date and estimated time of arrival. Press "share arrival information."